Seeing Ads in NeoBux is a job, only the payment is so so low that nobody is going to waste their time seeing Ads for next to nothing. It would take you to see tens of thousands of Ads to live off it. To have people motivated to do it every day, there must be a system that rewards those who commit to seeing Ads. And here is where the “Rented Referrals” come in. This “Rented Referral” system is one of the most confusing parts of NeoBux. 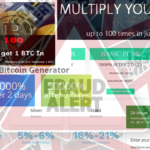 It is also the feature that those “Bux” sites which are basically scams pretend to imitate, but there is only one system where this works, and that is why there is a massive amount of scams pretending to have the same. NeoBux is legit. It pays, it’s solid, it has been around since 2008. The Rented Referrals system works In NeoBux! But it is confusing and many people don’t get it right. They use it incorrectly and loss money. And that turns into articles and sites about how NeoBux is a scam or a fraud. And given that every other Bux site pretending to have Rented Referrals is indeed a scam or a fraud, it is not surprising to consider NeoBux one as well. But it is a functional system. To use it first you have to understand it, and my philosophy is that if you get into something, you should really get into that something or don’t waste any time on it, for time is what you have that is valuable. What is NOT the Rented Referral system? And that is exactly how nearly everyone tries to sell you NeoBux. Many jump in only to realize that it is not that, and quit. The great majority of people joining NeoBux won’t last long. To turn NeoBux into a stable stream of income is going to take dedication and time. And some investment would make the process a lot faster, but even with a huge investment it would take years for your investment to return. You get rented referrals, you see the daily Ads, you recycle inactives. And you do this every day, for years (at least see the required Ads to get profits, the recycling can not be daily, just frequently). To profit from your rented referrals you only need to see the Fixed advertisements, 5 with a standard membership, 9 with a Premium membership. 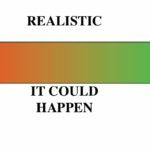 Eventually the system grows to a point in which a person getting started with NeoBux looks at the numbers and see them as impossible or as just a fantasy. But it is not that it is impossible to accomplish, it is that it is impossible to accomplish from one day to the next, it takes time and good handling of the account. Traffic from NeoBux is good traffic. If you are promoting something there is value in getting the people from NeoBux to see it. I have buy Ads from there, from my balance or from my pocket, and I am happy with the traffic. As long as that is true then there is value being generated by NeoBux. So how do I make money from the Rented Referral system in NeoBux? Extend the rented referrals for 240 days, or 150 days as a minimum. Have a recycling policy, and be willing to modify it if it is not working properly. This is critical. The rented referrals will go inactive, almost all of them, because it is people like you and I. Even I got my account closed a pair of times for inactivity, this is my third account, and it is working now very well, but first I had to understand what was going on in NeoBux because I also failed to see how it worked. The Bux sites, you can see how their rented referrals are fake because they are very very active, and usually a lot of them go inactive on the same day, and of course long before you get to cash-out so you need to put what you earned to recycle them. It is just a show. There aren’t even enough of them there. In NeoBux there are, and they go inactive, all the time, but not all of them at once, and a few of them last a very very long time. If a new rented referral doesn’t make a single click for 7 days, I recycle it. If a rented referral doesn’t make a click for 11 days and has less than 50 days with me, I recycle it. If a rented referral doesn’t make a click for 12 or more days and doesn’t have a high average, I recycle it. If the click average of a rented referral goes under 0.5, I recycle it. This is an evolving strategy. Right now I am gathering enough data to improve that policy but it is still a work in progress, I will use statistical analysis to determine when is the best time to recycle, but for the moment that is my recycling policy and it has been working pretty good. Say, you put $100 into NeoBux. You could across the course of a couple of weeks get 500 rented referrals. But I would instead spend $20, get 100 referrals, and be recycling inactives until the time to extend those 100 referrals gets closer. Personally I have set up the auto-extend feature to 240 days, 3 days before they are up for recycling. I would just leave the money there, or I would not have put the $100 at once in NeoBux and keep them around for when the time is right. Some times there are promotions where it is cheaper to extend the rented referrals and you would miss them if you have absolutely no funds to do anything. A big mistake is to put money into NeoBux, and extend a lot of rented referrals that don’t need to immediately get extended. The strategy should be to rent referrals, and extend them for a long time, but not right away, have funds lying around. And with this I mean, if you have a referral with 90 days left, there is absolutely no reason to get in and extend it 240 more days. Leave it be there, by the time you need to extend it it will probably have generated what you need. Be patient, be very patient. And lets look at the actual numbers. A good objective is to have a Premium membership, and 2,000 rented referrals. And it is achievable even with no investment, it just takes a lot longer. So, if we were to keep the referrals for 8 months (about the 240 days) at the normal price the total cost of that one would be $3,769.00. And yes, the rented referrals can generate that easily, but the money left will not be that much. The difference is either $940 with a 25% discount or $1,128 with a 30% discount. And that is not counting the days where there is an even bigger discount in rented referral extension, such as Halloween, Christmas, NeoBux‘s anniversaries. The point is, it can become profitable, and any money put into it would come back given the time. But, if you put money into the rented referrals, and then forget about it, sooner or later about all of them would be inactive and your money would be lost. And this happens to many people and they go inactive. The rented referrals generate more than enough to extend them, and to recycle them. On top of this we have the AdPrize, the offers, the tasks, and the direct referrals if you are into that, so Rented Referrals are not the only source of income in NeoBux, only one that can be built so you spend less than 5 minutes a day for a huge profit, and if you get the account to that point, you earned that profit, it is not a free hand-out, it is your reward for years of dedication to make NeoBux what it is. Just have fun with it. With the Ultimate Pack you can go over the 4,000 rented referrals limit, only they cost more and you need to rent using the rental queue, but how much money you can make with that is massive, plus you can automatically recycle recently acquired inactives at 7 days of being inactive, and there is a vacation mode where you don’t need to click the Ads. Also you get a lot of fancy new tools to manage that many referrals. I have 600 rented referrals right now. And all of them have been extended to 240 days. What am I actually getting with my recycle policy? After recycling, I am left with about USD$4 a day. Recycling is between 50¢ to 80¢ a day. So, I’ll round it up at $4 to make the calculation as those are the actual funds that I am getting. In 240 days I will end up with $960. And the extensions to 240 more days would be $697.2 (280+284+123.2). That leaves me with extra $262.2 in those 8 months, which I can either withdraw or use to get more rented referrals and extend them for 240 days. So, the acquisition was $124.5, the extension without a promotion (I did use the Christmas and the NeoBux anniversary promotions on some, but I won’t count them here) was $697.2. That makes a total of $821.7 invested to get to this point. After every 8 months I get a net income of $262.2, so it would take basically 752 days before the investment gets recovered, 2 years before what I get is profit. (If I had put that money into the rented referrals system, which I didn’t, I just have been very active with mini-tasks, Ads and AdPrize). And of course, the cost of the Premium account, $90 per year. So lets say that you if you put money into NeoBux it won’t actually turn into profit until after about 2 years and 8 months from the rented referrals. Once again, this calculation is only renting the referrals and doing nothing but seeing the Ads required to get a profit. Why do I think it is worth it? As I said many times in this site, NeoBux is not something to put quick cash in your pocket, for that try ClixSense instead, it has activities that pay faster. Or do some of the activities in NeoBux, specially the mini-jobs and the occasional survey that you can find in the offers, or get direct referrals. The Rented Referrals at NeoBux is a long term strategy. 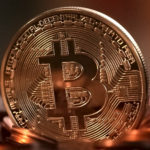 And if you read the forum and the stories of those who are making massive amount of cash you will see that they invested and that it took them over two years of handling the account correctly for the investment to pay off and turn into profit. And they are very happy with the result. This article only deals with the rented referrals, nothing more. There are also the Ads, the AdPrize, the Offers, the Mini-jobs, the Direct Referrals, but this are only the numbers for the Rented Referral system, it is an extra but nothing more at the start in NeoBux. But I will not mislead you into thinking that this is easy or that it takes a short time, it doesn’t, and the people with tens of thousands of referrals and making over a thousand dollars a month of pure profit are few, and they have been playing NeoBux almost since the foundation of it. If every single person were playing the Rented Referrals game perfectly for years, the system would not be sustainable, it would collapse. But so would the economy in the world if every single person were handling their personal finances perfectly for years, doing the numbers to determine whether a buy is a good investment or not. But they don’t. This is a game, and in this game in order to be winners, there must be losers. And not everybody can win. The system of course is rigged to allow those who have more to get an advantage over those who have less. 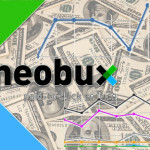 It is the same in videogames, it is the same in the economy of the world and it is the same in NeoBux. But just as you can still win a game through dedication and strategy, so you can win the game of money, and you can win NeoBux. And understand this: you are reading this, the rest of the players aren’t, and this can give you the advantage that you need to get ahead and win where many fail. 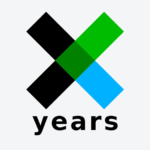 Also think about this, wouldn’t it be nice if you had started doing NeoBux years ago? Wouldn’t it be fantastic? Well, that is exactly what you are going to think a few years from now. Whether you will be glad that you did start today or not is entirely up to you right now. If you go for it, go for it. Play it like a game, but these days gamers play games seriously, with no economic reward at the end of it, NeoBux has one. If you think this is a waste of time, don’t try it, don’t do it, save your time and find another way. I don’t live of NeoBux right now, but I am having fun seeing the numbers grow, I like seeing the number of rented referrals grow, and I have gotten a little withdrawn because I like the feeling or I have use some of the money generated to buy publicity. You can you do this if you wish.